Just because it is Tuesday and I'm clearing some space on my shelves here ... 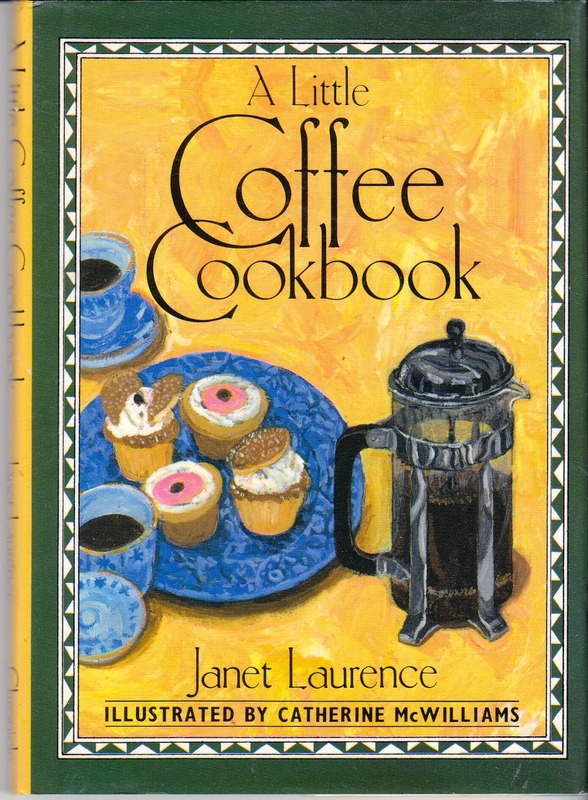 I'm hosting a giveaway to win A Little Coffee Cookbook by Janet Laurence. This gently used cookbook is very cute, with 60 pages of delicious recipes using coffee. I am removing some of the newer cookbooks from my store, Birdhouse Books, in order to make more shop space here. You will find many vintage cookbooks in my shop (along with children's books and vintage cards galore!). Entry is easy, with the Rafflecopter form below. The giveaway will close on Tuesday, July 15 at 11:59 PM. I will use Rafflecopter to randomly draw a winner. Thanks for visiting my site, and I hope you'll enter for this cute cookbook. My favorite is the "Indelible Spots Dalmatian Dog Sunset Jiffy Cross Stitch Kit"! So cute, and I bet my daughter would love stitching that! i like all the little golden books that i used to read as a kid! Mickey and the Beanstalk....my boys love Mickey!! I love the vintage sewing patterns! I;d really love to read "The Pillsbury Busy Lady Bake Off Recipes 1966"
I like the Vintage Postcard -- Cats Interested Spectators Wildt and Kray No. 1264 England Cat. I like the The Christmas Story Little Golden Book 456-08 Eloise Wilkin Jane Werner 1980. I think my family might have had that copy when I was a kid! It looks familiar. Has always been one of my favourites! I like the vintage postcard of the Pleasantville, NJ motel! I love the Little Golden books! They remind me of my childhood! I like the Winnie the Pooh and the Perfect Christmas Tree 1994 Pop-Up Book Disney. So cool! I like the Multi Brite Striped Christmas Ornaments. I like the DVD Desperate Housewives Season 1 TV Show 6 DVDs Set! My favorite item is the Jingle Bells 1974 Little Golden Book 563 Christmas J.P. Miller. I remember owning a copy when I was a child. It was one of my favorites. I like the Vintage Postcard Long-Haired Dachshund Continental Dog Card Unused Switzerland. This would be perfect to give to my co-worker whose dog looks just like the one on the card. I like the Armadillo Christmas ornament. I have a friend who collects armadillos and she would absolutely love this! I like What Makes My Cat Purr? 1965 Whitman Tell-a-Tal​e Book Ann Tompert Elfreda Cats. I like What Makes my Cat Purr? My favorite book is Southern Dogs and Their People 2000 Clyde Edgerton Dog Photos. I love dogs so much. I love the Little Golden Books. I remember reading them as a kid and read them to my children. So nostalgic. The Velveteen Rabbit book is my favorite. I love the Being in Love is the Nicest Way to Be book. Prayers and Graces for a Small Child 1960 Rand McNally Elf Book Mary Alice Jones is my favorite because I had it when I was a child.